Is appreciation communicated regularly at your workplace? Do you truly feel valued by those with whom you work? • Express genuine appreciation to coworkers and staff – even on a tight budget. • Increase loyalty with the employees and volunteers in your organization. • Reduce cynicism and create a more positive work environment. 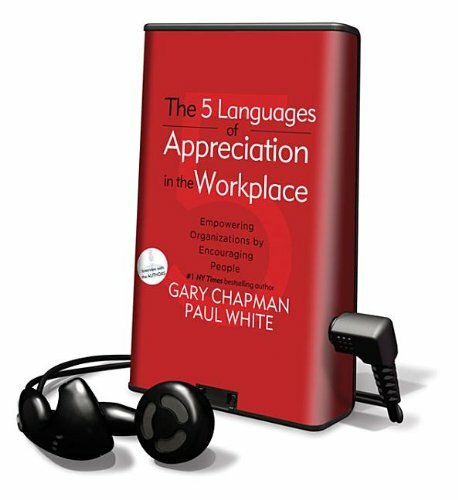 • Individualize your expressions of appreciation by speaking the right language. Based on the #1 New York Times best seller The 5 Love Languages ®, Dr. Chapman and Dr. White give you practical steps to make any workplace environment more encouraging and productive. You will learn to speak and understand the unique languages of appreciation and feel truly valued in return.